Fantastic stay in this villa. Prefect location. We will definitely be returning. Villa with priv. heated pool, 3 bedrooms/3 bath. Lovely seaviews from roof terrace. 400 m. to Beach, 300 m to shop and restaurants. 1 km. to golf, 15/20 min. walk to La Cala center. Extra bed available. Pool is heated by solar panel year round. Heatpump for pool is installed and available upon request. Use is charged by the kW. kW meter is installed and will be recorded by the agent upon arrival and departure. Great to use if you like pool temperatures year round towards 28-30 degrees C.
We were a party of 5 adults, parents & children. 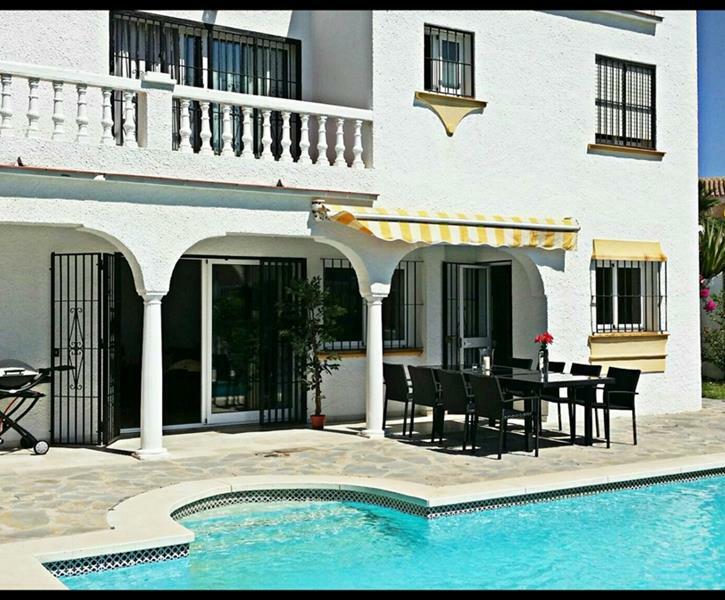 We had a really nice break in this nicely positioned, appointed & furnished villa. Highly recommended. The area was a little too manufactured for our liking, but it was pretty much what we expected in this part of Spain. Guess it depends what you are looking for. Had a nice trip to Mijas Pueblo, well worth a visit. We have visited this area many times and love La Cala and Torrenueva with its good restaurants and bars, and i'm sure we will visit again.